IDBI Walkin Recruitment 2015 in Chennai, Hyderabad, Vizag. 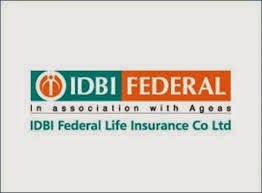 IDBI Federal Life Insurance Company Limited Job Openings For Financial Relationship Manager – Direct Sales (20 Vacancies). Walkin interview on 2nd February 2015 For Freshers and Experienced. Company Name IDBI Federal Life Insurance Co. Ltd.
IDBI Federal Life Insurance is one of the fastest growing life insurance companies in India. We have achieved break even in just 5 years of incorporation. The secret of this success is our constant endeavor to create innovative financial solutions that create value for our customers and help them realize their dreams. As we now move towards a promising tomorrow, we are looking for young and enthusiastic candidates who would like to partner us through the journey. We invite applications for the financial relationship manager positions. * Ensure all Training Modules laid by the L&D department are attended and certification obtained post assessment. * Represents IDBI Federal/Direct sales channel & its value proposition to all customers as per the vision & values of the organization & channel. * Meeting the customers to solicit insurance products of IDBI Federal based on appointments & references generated in the course of daily activities. * Ensure that appointments allocated by the call center are attended and reverted in the prescribed formats within the TAT. * Ensure that MIS/ Reporting Formats are maintained/ Updated on regular basis. * Ensure that a comprehensive financial need analysis of customers is done & provide insurance solutions based on the analysis. * Customer Servicing – Maintain customer relations & ensure post sale needs of customers are met. * Ensure strict adherence to Human Resource Policies & processes.